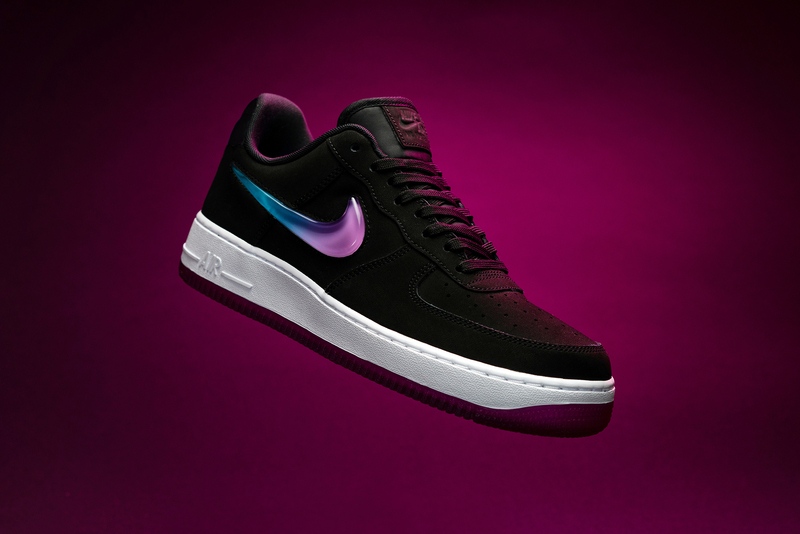 Forces, Uptown’s, Harlem’s, whatever name you call them there’s no denying Bruce Kilgore’s Nike Air Force 1 has become one of the brand’s most infamous silhouettes. 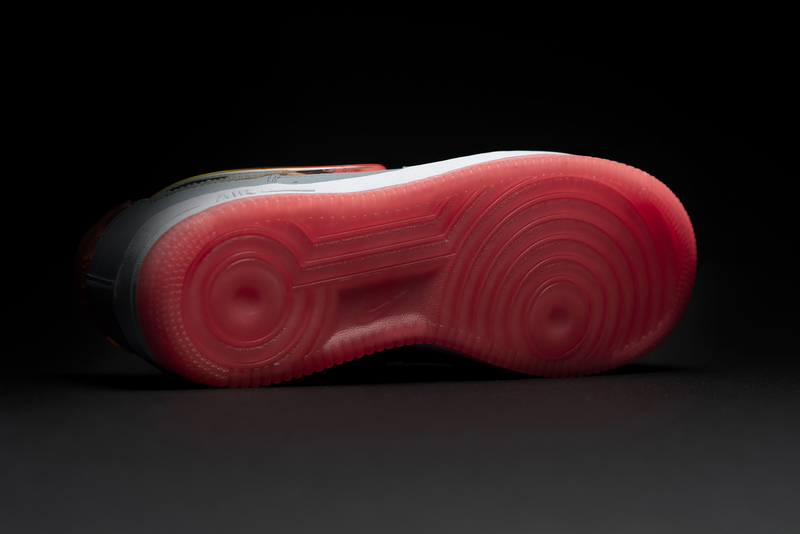 First hitting the hardwood in 1982, Kilgore incorporated a revolutionary pivot point system on the outsole, designed to help quick turning on the court. 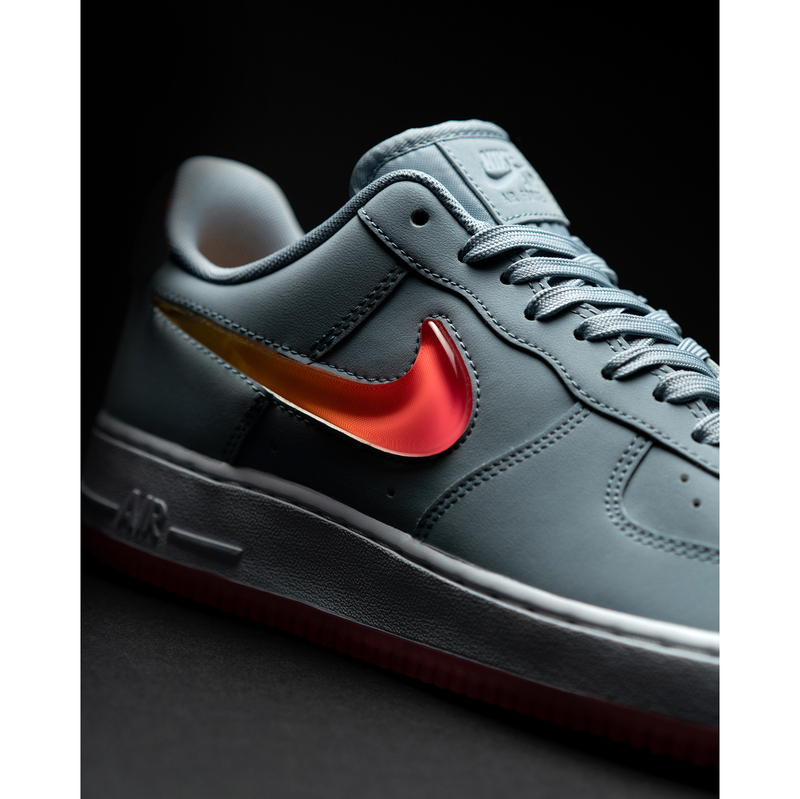 Championed by Allstars like Rasheed Wallace, Kobe Bryant, and most famously Moses Malone (one of the original poster boys for the shoe) the Air Force 1 later found fame on the streets as a statement piece found in any outfit. 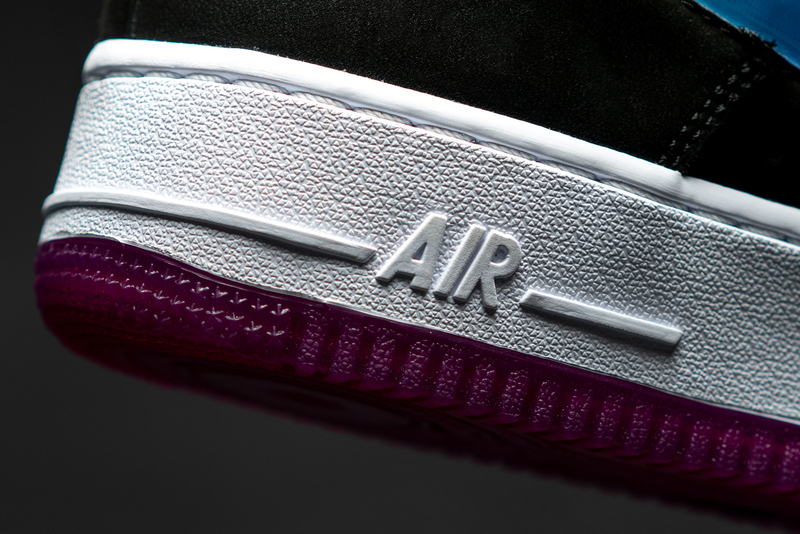 Despite all of the colour combinations and transformations, it’s gone through over the years, The orignals still act as the archetype which has stood the test of time, and is still highly revered today. 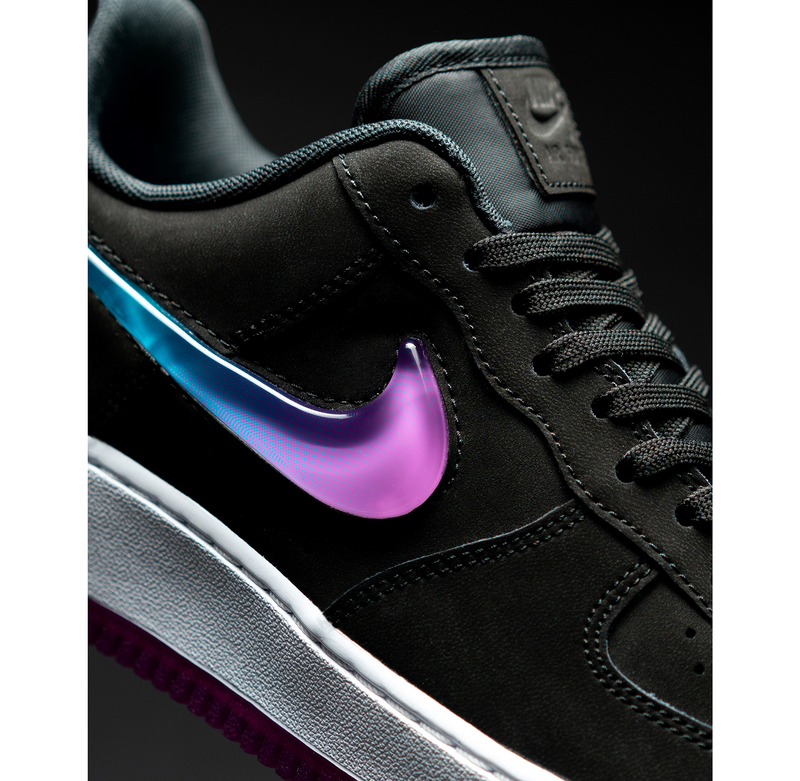 Visually similar to the rare ‘Jewel’ editions of the Air Force 1 from the late 90’s, the new ‘Jelly’ rendition adds a flexible transparent Swoosh to the sidewall and heel panel. 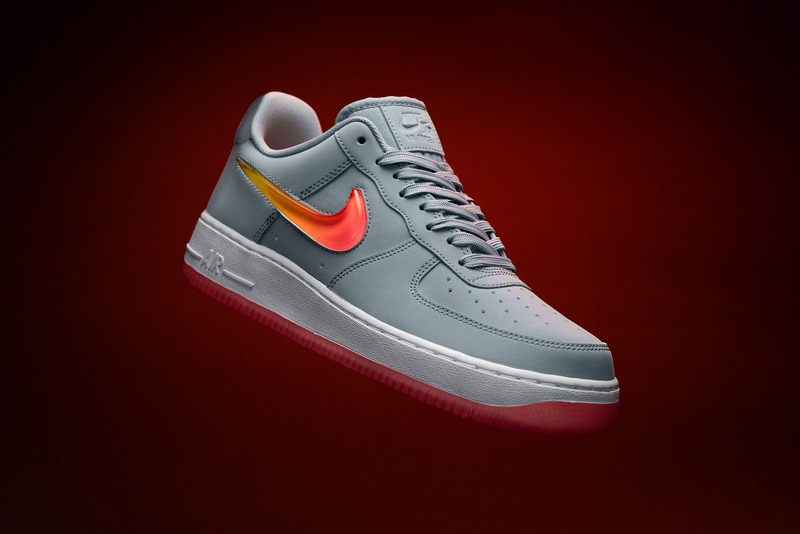 Each colourway uses different colour gradient, from sky blue to violet, and sunburst yellow to a rich peach, and both sit on top of iced out transparent outsoles.